Facebook’s News Feed is a quick and easy way for users to stay up to date on the people and topics that matter most to them. The average US consumer spends 40 minutes per day liking, commenting on and scrolling through News Feed updates. But that recently changed when the platform introduced an extension of its Like button called Facebook Reactions. If you’ve used Facebook in the past couple of weeks, you noticed something looks awfully different when you go to Like a post. Maybe you’ve seen a new notification pop up letting you know that someone has reacted to your content instead of just Liking it. Although it might seem like these reactions are random, that’s actually not the case. If you’re into that sort of thing, we recommend that you read about how these six were chosen and some of the science behind the company’s decision. Right now, Reactions are counted the same as Likes. This means that if someone uses a Reaction, Facebook will assume that person wants to see more of that type of content. So even if someone responds with an angry icon, Facebook will treat it as a Like when deciding where to place the post in users’ News Feeds. Since Facebook’s algorithm takes post engagement into account, this tells the platform that the content is worth serving to other audiences. If more people are engaging with your post, the better the chances of it appearing in more News Feeds. Thus creating more organic reach for your brand. It’s hard to know whether this will always be the case. It’s possible that in the future the platform will rank posts differently based on the Facebook Reactions received, but that’s only speculation at this point. For now, it’s worth encouraging your followers to use Reactions since doing so is a plus. 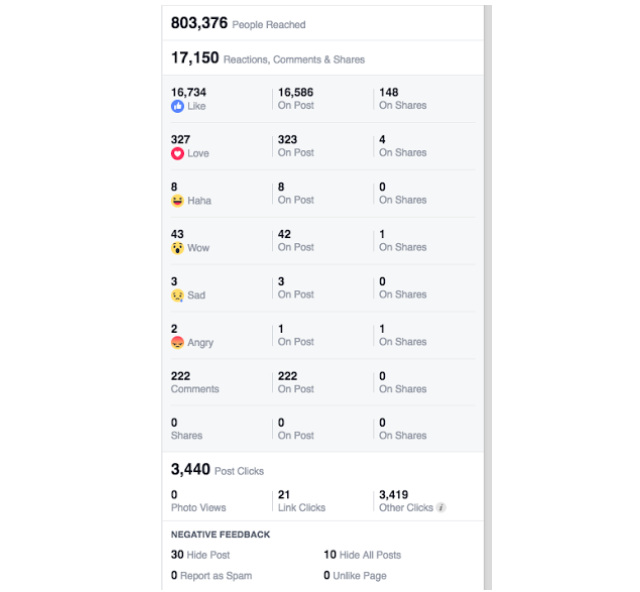 The greatest benefit for marketers and content creators is that now you can dive even deeper into your Facebook post performance. Reactions add a new layer to how people engage with your content, and that’s something you want to measure. Not only do Reactions encourage more interaction, but people are able to send more specific signals about how your content makes them feel. Although the social media analytics behind Facebook Reactions are somewhat limited, you can tell a lot about how well your content resonates with an audience by the Reaction they choose. Previously the absence of a Like didn’t tell you much. Maybe fans who chose not to Like your post didn’t see it, or maybe they just didn’t find that particular update interesting. It happens, but it doesn’t necessarily mean that they’re unhappy with the content you published. Reactions can help take some of the guess work out of analyzing your post’s performance. For example, you’ve just published a post announcing your business is moving to a new neighborhood. If it receives more angry Reactions than Likes and hearts, you now know more than you would have had the only option been a Like. And yes, people can share their support or disappointment in a comment, but not everyone does. Some people don’t want to write something in a post that can be easily seen by others. Instead, a simple reaction is much easier for most Facebook users wanting to react to the post. At least now you know people are unhappy about the move, and this creates an opportunity for your team to engage and request additional feedback. On the other hand, if you’ve just shared a link to one of your blog posts or a more humorous post like Blaze Pizza, and it receives a lot of Likes, hearts and wows, that’s a good indication that people enjoyed your content. Additionally, it’s fair to assume that similar posts would be well received by your audience. But that’s not something you should leave to chance. Pay close attention to the correlation between Reactions and results. For instance, do posts that garner a lot of hearts also receive a lot of clickthroughs? In the same vein, do posts with many angry Reactions prompt a lot of people to hide the post or unLike your Page? It’s not enough to just count Reactions and make assumptions. You have to see how these Reactions relate to the other actions people are taking on your posts. 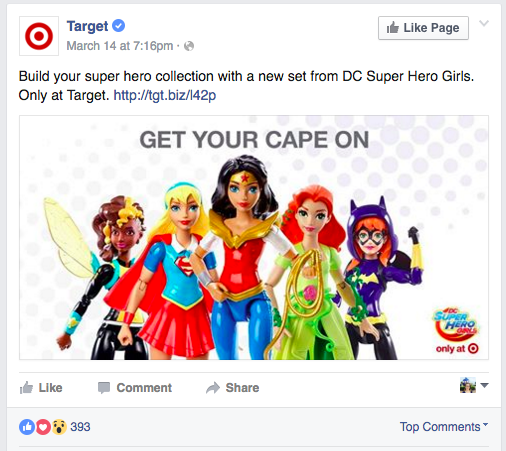 Right now the only first three Reactions used by viewers are displayed on the post, like this one from Target. But if you click on the Reactions, a small window opens up with a complete list of the Reactions and how many times they were used. If you click on the individual Reaction, it’ll filter the list of users so you only see the people who used hearts or the angry icon. This can be really helpful when trying to identify potential brand ambassadors or when you want to address negative feedback. Keep in mind that Reaction counts are public and anyone, including non-admins and people who aren’t fans of your Page, can see them. 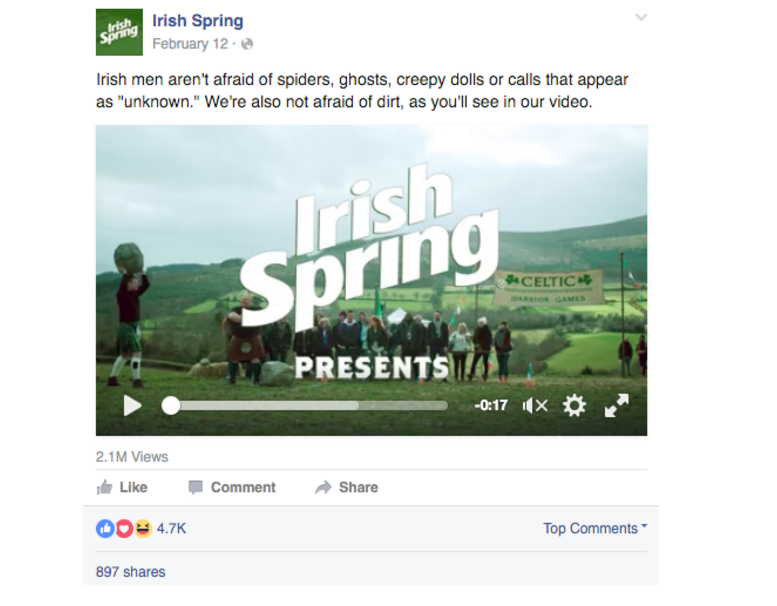 The positive here is that you can check out Reactions on competitors’ posts and see how people are reacting to specific types of content. You can’t remove a Reaction. On Insights, you can’t filter Reactions by organic versus paid. Your more recent posts are more likely to include Reactions. Older posts will only have the Like icon. Is This the End of Likes? No, especially since Facebook Reactions are still very new and not everyone is using them yet. But as people starting using them more, Reactions will become a regular part of your metric-watching routine. They’re capable of influencing your content strategy, and that’s not a metric you want to ignore. People will continue to use the Like button, but with six new emotive options, the Like isn’t as strong of a signal as it once was. Now it’s much more clear which actions you need to take next, whether its to connect customer support with angry icon users or send swag items to people who regularly “heart” your posts. Best of all, Reactions are something that you as a brand can take advantage of as well. 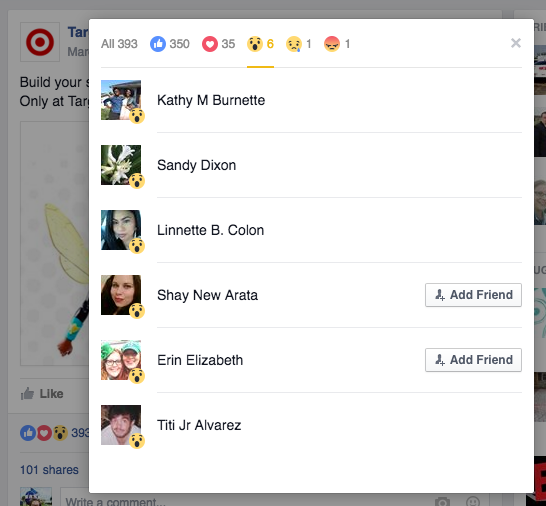 When using Facebook as your Page, you’ll have access to Reactions as you browse through other Pages’ posts. Now even your engagement with collaborator, partner or customer content can be more fun and illuminating for the author. Here at Sprout Social, we know the importance of having the best Facebook management tools to help you keep track of your Reactions, post views, hashtags and more. With the right social media management tools, you can be on top of all your Facebook decisions and easily access presentation-ready Facebook reports. For the social media manager, Facebook Reactions might be a new challenge. However, with Sprout’s Facebook management tools, you’ll always be one step ahead. Try Sprout for free with a 30-day trial!